The World of Darkness is much like our world, but it is darker, more devious and more conspiratorial — an aesthetic we call “Gothic-Punk”. The dichotomy between the rich and the poor, the influential and the weak, and the powerful and the powerless is much more pronounced than in the real world. Decadence, cynicism, and corruption are common. Humans are unwitting victims or pawns of vast secret organizations of supernatural creatures. Vampires, werewolves, and mages (among others) struggle with internal factionalism and against other species in secret wars of intrigue for control. 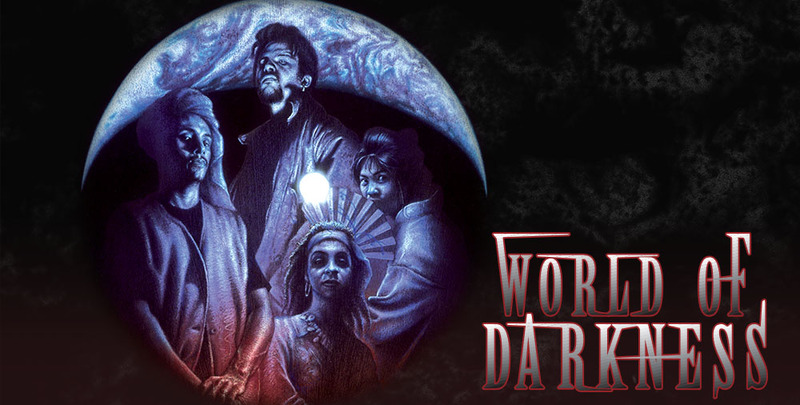 The World of Darkness (sometimes “WoD”) was first developed in 1991 with the release of Vampire: The Masquerade. It has reached hundreds of millions of people through thousands of books published in a wide variety of languages, as well as via a prime-time television show, multiple well-regarded video games, and even World of Darkness-focused conventions. Onyx Path Publishing offers dozens of role-playing game, fiction, art, and clothing products for the World of Darkness, as well as helping to re-release hundreds of original books through PDF and print-on-demand. Please join us on our forums!